The Charlie Gard case was a best interests case in 2017 involving Charles Matthew William Gard (4 August 2016 – 28 July 2017), an infant boy from London, born with mitochondrial DNA depletion syndrome (MDDS), a rare genetic disorder that causes progressive brain damage and muscle failure. MDDS has no treatment and usually causes death in infancy. The case became controversial because the medical team and parents disagreed about whether experimental treatment was in the best interests of the child. In October 2016, Charlie was transferred to London's Great Ormond Street Hospital (GOSH), a National Health Service (NHS) children's hospital, because he was failing to thrive and his breathing was shallow. He was placed on mechanical ventilation and MDDS was diagnosed. A neurologist in New York, Michio Hirano, who was working on an experimental treatment based on nucleoside supplementation with human MDDS patients was contacted. He and GOSH agreed to proceed with the treatment, to be conducted at GOSH and paid for by the NHS. Hirano was invited to come to the hospital to examine Charlie but did not visit at that time. In January, after Charlie had seizures that caused brain damage, GOSH formed the view that further treatment was futile and might prolong suffering. They began discussions with the parents about ending life support and providing palliative care. Charlie's parents still wanted to try the experimental treatment and raised funds for a transfer to a hospital in New York. In February 2017, GOSH asked the High Court to override the parents' decision, questioning the potential of nucleoside therapy to treat Charlie's condition. The British courts supported GOSH's position. The parents appealed the case to the Court of Appeal, the Supreme Court and the European Court of Human Rights. The decision of the court at first instance was upheld at each appeal. In July 2017, after receiving a letter signed by several international practitioners defending the potential of the treatment and claiming to provide new evidence, GOSH applied to the High Court for a new hearing. :9 Dr Hirano visited Charlie at GOSH during the second hearing of the case at the request of the judge. After examining scans of Charlie's muscles, Hirano determined it was too late for the treatment to help Charlie and the parents agreed to the withdrawal of life support. GOSH refuted Hirano's statement that it was too late for the treatment. GOSH maintained its position throughout that Charlie's condition had deteriorated by January to the extent that the proposed experimental treatment was futile. :7 The second hearing at the High Court, which had been arranged to hear and examine the new evidence then became concerned with the arrangements for the withdrawal of life support. On 27 July, by consent, Charlie was transferred to a hospice, mechanical ventilation was withdrawn, and he died the next day at the age of 11 months and 24 days. The case attracted widespread attention in Britain and around the world, with expressions of concern and assistance offered by figures including U.S. President Donald Trump and Pope Francis. At the time of Charlie's death, The Washington Post wrote that the case "became the embodiment of a passionate debate over his right to live or die, his parents' right to choose for their child and whether his doctors had an obligation to intervene in his care". In December 2016, Dr Michio Hirano, chief of the Division of Neuromuscular Disorders at Columbia University Medical Center, and an attending neurologist at New York–Presbyterian Hospital, who had worked on nucleoside therapy in collaboration with researchers in Italy, Spain and Central America, administering the therapy to 18 human patients was contacted. On 9 January 2017, notes kept by GOSH doctors recorded that the team intended to attempt the nucleoside treatment at GOSH in the next few weeks. One of the doctors applied to the hospital's ethics committee for approval. A committee meeting was scheduled for 13 January, and Charlie was provisionally scheduled for a tracheostomy on 16 January. :79, 82 GOSH invited Hirano to examine him in January, but he did not examine Charlie until July. On 30 January 2017, the parents launched an appeal on the crowdfunding website GoFundMe to finance experimental treatment in the United States. Donations had exceeded £1.3 million by the end of April. The publicity campaign was well under way before the legal process had started. At no time during the court process was any criticism levelled at the parents for this campaign and there was no suggestion that the court's powers be used to limit or control this publicity. In June, immediately after the High Court had ruled that artificial life support should be withdrawn, the parents said that they wanted to take their son home to die or to bring him to a hospice, and that GOSH had denied this; the hospital would not comment due to Charlie's confidentiality. It was announced that his life support would be withdrawn on 30 June. The courts, and GOSH and its staff were subjected to criticism and abuse. On 30 June, the staff at the hospital agreed to give the parents more time with him. Three days earlier, the appeal process finished when the European Court of Human Rights declined to hear the case and shortly after offers of assistance and expressions of support were made by U.S. President Donald Trump and Vice President Mike Pence. Congressmen Brad Wenstrup and Trent Franks announced that they intended to introduce legislation granting lawful permanent resident status in the U.S. to Charlie Gard and his family. "Our bill will support Charlie's parents' right to choose what is best for their son, by making Charlie a lawful permanent resident in the U.S. in order for him to receive treatments that could save his life. Should this little boy be ordered to die – because a third party, overriding the wishes of his parents, believes it can conclusively determine that immediate death is what is best for him?" Trump said the U.S. would be "delighted to help", Pence called Charlie's case "heartbreaking" and said that "the American people oughta(sic) reflect on the fact that for all the talk on the left about single-payer, that's where it takes us". The case was cited in the American press and social media as evidence in the debate there about the Administration's promise to repeal the Patient Protection and Affordable Care Act (Obamacare). Some commentators in the United States erroneously argued that Charlie's plight was the result of the UK having a state-run national health service and that the decision to withdraw Charlie's life support was driven by cost. In London Alasdair Seton-Marsden, who acted as a spokesman for the parents until they distanced themselves from him, was criticised for using parental rights rhetoric, calling Charlie "a prisoner of the state". Pro-life groups in the United States became involved in the controversy, with US groups demonstrating outside the London court. The Vatican issued a statement on 2 July affirming that "we should never act with the deliberate intention to end a human life" but that "we must also accept the limits of medicine". Pope Francis expressed solidarity with the parents, and said that their wishes should be respected, and human life should be protected. The Pope's remarks were widely reported as evidence that the Pope had altered the Vatican's position. It was said that the Pope offered citizenship. On 6 July, New York–Presbyterian Hospital issued a statement offering either to admit Charlie for treatment in New York or to provide the drug and advice to GOSH staff for the treatment in London. [note 1] In a letter that was made public, was presented to and rejected by the Court of Appeal and was sent to GOSH, Dr Hirano and other doctors claimed to be able to provide new evidence to support the view that Charlie should be given nucleoside treatment. :9 A few days after the European court ruling on 28 June, the parents' solicitor wrote to GOSH arguing that the hospital had a duty to apply for a new hearing. Two other hospitals were willing to offer treatment; the Vatican-owned Bambino Gesù Hospital in Rome, and Hirano's New York–Presbyterian Hospital. The letter said that Hirano had new basic research findings that he judged made it more likely that the nucleoside therapy could help. At no time did Dr Hirano or the New York hospital claim or imply that it was necessary to send Charlie to America; the experimental treatment could be administered at the GOSH, subject to the agreements in London of the ethics committee and in America of the FDA. The ethics committee in London had declined consent and there is no public record of an application to the FDA being made. The parents said these expressions of support had given them new hope. The court proceedings were under the inherent jurisdiction of the High Court (wardship), conducted within the principles and provisions of the Children Act 1989. In wardship, the High Court assumes parental rights and responsibilities if an application is made and the court deems the application appropriate. Parents and public bodies have a responsibility to take actions in the best interests of a child. Doctors treat children with the consent of parents; treatment of a child without parental consent potentially exposes the treating doctor to criminal prosecution. If a public body believes a parental decision will cause significant harm to a child, it must ask the courts to intervene to override the parents' decision. It is the duty of the court under its inherent jurisdiction to ensure that a child who is the subject of proceedings is protected and properly taken care of. There is a presumption for transparency in these cases as the justified interference with article 8 rights of a minor will always require public scrutiny at some point. The law in respect of transparency in wardship and inherent jurisdiction cases is complex. That it is lawful, and in Charlie's best interests, not to undergo nucleoside therapy. The case came before the court on 3 March. It was then listed for final hearing on 3 April to enable the parents to file their evidence, and in particular to obtain evidence from the USA, as to the treatment that might possibly be available for Charlie. The parents were not automatically eligible for legal aid; it is unclear whether they would have been eligible under an exemption, but they did not apply to the Legal Aid Agency. They were represented by a pro bono legal team, which the judge later characterized as "experienced and dedicated" and as providing "excellent assistance". Charlie was joined as a party and a guardian ad litem was appointed under the Children and Family Court Advisory and Support Service (CAFCASS). :31 In this way the first of GOSH's applications was granted by consent. Victoria Butler-Cole, a barrister, represented the guardian. The Telegraph later reported that the parents "privately expressed their concern" when they realised that Butler-Cole is the chair of Compassion in Dying, a sister organisation of Dignity in Dying. At this stage agreed reporting restriction orders were in place to protect the anonymity of the medical team and those that have given second opinions, both from the UK and abroad. :1 The restrictions in respect of Hirano were lifted by consent at the second hearing. The judge erred in making an order that prevented Charlie from receiving medical treatment by expert physicians in a reputable hospital overseas in circumstances where there was no risk of that treatment causing significant harm to Charlie. Per Re King, the court may not interfere with a decision by parents in the exercise of their parental rights and responsibilities with regard to their child's medical treatment, save where there is a risk the parents' proposed course of action may cause significant harm. Re King is good law. It is consistent with prior authorities and correct as a matter of principle. It was cited in argument but not addressed at all in the judgment. The judge had no jurisdiction to grant an order on the application of one clinical team preventing a second clinical team from carrying out a treatment that the latter had offered in the reasonable exercise of its professional judgment. The declaration made by the judge has de facto injunctive effect in that it prevents Charlie's parents from removing from GOSH to undergo treatment in the USA. The judge fell into error in conducting the ordinary "best interests" evaluation. No, or insufficient, regard was had to the relevant rights of Charlie and the parents under Articles 2, 5 and 8 of the European Convention on Human Rights. The parents and their legal team were placed at an unfair procedural disadvantage as a result of the late disclosure of documents. On 8 June, at an oral hearing, a panel of three justices at the Supreme Court heard an application by the parents for permission to appeal to the Supreme Court. The parents argued that in this sort of case the hospital can only interfere in the decision taken by the parents if the child is otherwise likely to suffer significant harm and that decisions taken by parents who agree with one another are non-justiciable; that parents and parents alone are the judges of their child's best interests. Any other approach would interfere with their status their rights under Article 8 of the European Convention on Human Rights. Of this the court said that applications such as this are governed by statute; the welfare of the child shall be the paramount consideration. This provision reflects but is stronger than Article 3.1 of the United Nations Convention on the Rights of the Child. Also, where there is a significant dispute about a child's best interests the child himself must have an independent voice in that dispute and in this case Charlie has been represented by a guardian. Permission to appeal was refused on the grounds that there was no arguable point of law; the court also ordered reporting restrictions. On 19 June the parents lodged an application to the European Court of Human Rights. The application was heard on 27 June and declared inadmissible. On Monday 10 July, the case again came before Mr Justice Francis. GOSH disputed claims made by Charlie's parents that there was new evidence; it had been forced to come back to court after lawyers for the parents had threatened judicial review. The parents asked for a further full hearing in two weeks time and they asked the judge to step down on the basis that he had already made up his mind. These applications were both rejected. The judge said he was the best person to evaluate any new evidence; he had heard the case thus far and he promised the parents a fair hearing. He would deal with the case on the basis of evidence not tweets. He expressed an understanding of the parents position "I understand parents will grasp at any possibility of hope." Of the requested two-week delay he said "doctors and nurses were under 'extreme strain' with the case dragging on ... Staff feel it is desperately unfair to Charlie ... week after week knowing that every step they take for Charlie is against his welfare." Directions were given for a further hearing on Thursday 13 July, asking the parents to set out any new evidence they had on the day before. the likelihood that the proposed nucleoside therapy will cross the blood brain barrier to be significantly enhanced. In spite of these assertions, Dr. Hirano had still not seen Charlie, had never physically assessed Charlie nor had he had sight of his medical records and investigations, including the second opinions of doctors from outside GOSH. The judge later said of this "It seems to me to be a remarkably simple proposition that if a doctor is to give evidence to this court about the prospect of effective treatment in respect of a child whose future is being considered by the court, that Dr should see the patient before the court can sensibly rely upon his evidence. ":12 Dr Hirano gave evidence by videolink from America. By consent, the reporting restrictions of his identity were lifted and he agreed to travel to London to examine Charlie and to take part in a conference with the GOSH medical team and other experts. Mr Justice Francis arranged to hear further evidence after a medical conference of experts from around the world, including Dr Hirano had been conducted on 17 July. The judge said he would issue a new ruling on 25 July, after he had received and reviewed the conference report. The judge said of the report that there was a considerable degree of consensus but further MRI scans were needed to establish whether the position that GOSH had for some time been maintaining is correct. It transpired that in some places Charlie had no muscle and in other places there is significant replacement of muscle by fat. :13,14 On 24 July, the barrister representing Chris Gard and Connie Yates withdrew their request to fly their son to New York and their challenge to withdrawing mechanical ventilation and proceeding with palliative care. He added that Chris and Connie had made the decision on 21 July but had wanted to spend the weekend with their son without media attention. In spite of the consensus identified by the judge at the end of the five-day hearing, it was at times acrimonious. The judge had been asked to step down and responded in his written judgement[note 5] in what was seen as a swipe against U.S. President Trump, who had tweeted about the case. On the last day Connie Yates made a statement to the court from the witness box. This statement [note 6] and GOSH's position statement and press releases of 24 and 27 July make clear the distance that remained between the parents and the hospital medical team. The parents accused GOSH of delaying treatment until it was too late, with the mother complaining that the world-renowned children's hospital had "wasted time" in refusing to allow doctors from abroad to treat her son. The parents later accused the hospital of blocking their 'final wish' for Charlie to be allowed home to die. Further directions were given to protect the confidentiality of the arrangements and to prevent reporting or publishing any information that would lead to identification. On 27 July 2017 Charlie was transferred to a hospice and the next day his mother announced at 6:30 pm that he had died. The mechanical ventilator had been withdrawn; he was given morphine to relieve any pain beforehand, and died within minutes. Medical experts criticised interventions by Hirano and others for raising the parents hopes and for causing delays to the process. Genetics expert Robert Winston said "interferences from the Vatican and from Donald Trump" were "extremely unhelpful and very cruel". Winston added: "This child has been dealt with at a hospital which has huge expertise in mitochondrial disease and is being offered a break in a hospital that has never published anything on this disease, as far as I'm aware." Some commentators in the United States argued that Charlie's plight was the result of the UK having a state-run national health service and that the decision to withdraw Charlie's life support was driven by cost. The High Court judge described the comments about socialised medicine and single payer health care as "nonsensical", adding that "it was one of the pitfalls of social media that the watching world felt it right to have opinions without knowing the facts of the case". The chairman of GOSH made a statement condemning "thousands of abusive messages", including death threats received by staff at the hospital and harassment of other families in the hospital over the preceding weeks. GOSH asked the Metropolitan Police Service to investigate the abuse. The parents issued a statement condemning harassment of GOSH staff and said they had also received abusive messages. GOSH released a statement criticising Dr Hirano for offering testimony without having physically examined Charlie and without review of the medical records; they also said Hirano had disclosed that he had a financial interest in the treatment very late in the process. Hirano made a statement in response saying that he had relinquished his financial rights in the treatment. After Charlie's death, The New York Times observed that only rarely is there such intense conflict between doctors and parents. CAFCASS reports that in England, it was involved in 18 parent-doctor disputes in 2016 that ended up in court. Hospitals discussed existing methods that have proved effective for avoiding disputes over children's care. Some ethicists said or implied either that the parents and the doctors should have agreed or that it was regrettable that they had not agreed:20 or that they surely would have agreed had neither side had access to lawyers. Professor Julian Savulescu, Uehiro Professor of Practical Ethics at the University of Oxford, and Professor Dominic Wilkinson, Director of Medical Ethics at the Oxford Uehiro Centre for Practical Ethics and Consultant neonatologist at the John Radcliffe Hospital in Oxford opined that it is necessary for a court to decide the issues in circumstances of disagreement between the parents and the doctors if the disagreement is unreasonable but if the disagreement is reasonable the parents' decisions should prevail. Richard Doerflinger, former Associate Director of Pro-Life Activities of the U.S. Conference of Catholic Bishops, views it differently; "Catholic documents say the patient is the primary decision-maker; then loved ones who can speak for the patient; then doctors. These documents seldom mention judges. ... The American tradition reflects Catholic teaching." This conflicts with the statements issued in Rome by Archbishop Vincenzo Paglia, president of the Pontifical Academy for Life, and the two statements issued in London by the catholic Bishops' Conference of England and Wales but Doerflinger certainly reflects the American tradition. Both the Holy See and the United Kingdom are parties to the United Nations Convention on the Rights of the Child. The United States is a signatory but remains the only member state not to have ratified the convention. Its disinclination to do so is characterised in a U.S. Senate Resolution of 10 March 2011. Wilkinson argued that the dominant legal approach in the US is unreasonable. "It either assumes that parents are infallible and always make the best decisions for their child. Or it assumes that children are the property of their parents, who may make whatever decisions they like about them." Wilkinson also argued that the disagreement in this case between the doctors and the parents was unreasonable and argued that the doctors and the courts were right to withheld the experimental treatment. Savulescu argued that the disagreement was reasonable and that the parents' decision should have prevailed. Raanan Gillon, Emeritus Professor of medical ethics at Imperial College London, President of the Institute of Medical Ethics, had argued similarly on the BBC radio Programme The Moral Maze on 12 July. Wilkinson also appeared on that programme, which was broadcast on the evening before the second evidential hearing at the High Court. Gillon said that the court was susceptible to ethical criticism and that in his opinion it had made the wrong decision. He argued that many children were being kept alive by artificial ventilation and that the accompanying pain and discomfort, which could be ameliorated, was not sufficient reason to override the parents right to decide. Wilkinson was more circumspect. He declined to say whether he thought the court had been right or wrong – he did not believe that he knew sufficient of the medical facts and he doubted that anyone other than those involved in the case did either. He drew on his regular working experience in a paediatric intensive care unit and stressed the need for doctors to listen to parents, to work to understand their views and to retain the trust of parents. Wilkinson stressed the continual worry that practitioners in his field had about the balance between the pain of treatment against its possible or potential benefits. He stressed that ventilation and suction were painful intrusive procedures. The majority of these opinions were promulgated before the second evidential hearing in the High Court or before the full judgement was published. Savulescu's view that the parents' disagreement with the doctors was reasonable was based in part on the argument that the prospect of benefit offered by the proposed experimental treatment, albeit small, offered more than death. In his opinion, the benefits outweighed any harm – modern medicine is such that the pain and suffering caused by the artificial ventilation and suction would be ameliorated. Professor Savulescu's views in this regard were in accord with Professor Gillon's. Both Savulescu and Wilkinson had earlier argued against the notion of a 'best interest' argument to support the withdrawal of artificial life support. "Dominic Wilkinson and I have argued that although futility is often said to refer to 'best interests', it is more appropriately interpreted as a justice justification for limitation, that is, (the probability of the treatment prolonging life, or the quality of life, or the length of time the patient can survive are too low to justify the cost of the attempt (distributive justice)). ... The reason we have argued this is that the best interests justification [that continued life is no longer in the patient's interests] requires that doctors establish that life is no longer worth living. That is, that the person would be better off dead." Wilkinson argues that the 'vanishingly small' possibility of benefit from the experimental treatment must be weighed against the "significant negatives in the balance. Those negatives can arise from the child's illness, or from the medical treatment. ... Being kept alive in intensive care is not pleasant. Although we do our best to provide pain relief, sedation, care and comfort to gravely ill children and babies, that ability is finite and imperfect. Children on long-term ventilation often appear uncomfortable at least part of the time. They have frequent needles and invasive procedures. They may be distressed and unable to communicate the source of their distress. ... Sadly, reluctantly, doctors and judges do sometimes conclude and are justified in concluding that slim chances of life are not always better than dying. Providing comfort, avoiding painful and unhelpful medical treatments, supporting the child and family for their remaining time. Sometimes that is the best that we can do, and the only ethical course." Gillon, in the Moral Maze programme accepted the proposition that there could have been a resources argument against the use of the proposed experimental treatment but said that this was not a relevant issue in Charlie's case because the parents had raised sufficient funds to pay for the treatment. This was accepted by Wilkinson in the same programme. But Robert D. Truog, director, Harvard Center for Bioethics, Frances Glessner Lee Professor of Legal Medicine, Professor of Anaesthesia (Pediatrics) argued that the notion that Charlie's parents are paying is misleading. Tertiary care medical centres able to do research and provide care depend on communal investment made by society over decades. Society always has a financial stake in how communal services are used and has a legitimate claim in insisting that these resources be used wisely and for the benefit of all. "No one can demand non-beneficial treatments simply by claiming that they are paying out-of-pocket." The legal proceedings commenced in March, some two months after Charlie's treating doctors formed the view that artificial life support was inimical to his interests, and were concluded four months later. The 'No Delay' principle of the Children Act 1989[note 3] was in conflict with the duty of the courts to do justice by all the parties. The parents had a right to contest the matter and to take it through the three appeal stages. When they later claimed to have new evidence GOSH was bound to return the matter to court. The delays were lamented repeatedly throughout the case. Lady Hale in the Supreme Court "By granting a stay, even of short duration, we would in some sense be complicit in directing a course of action which is contrary to Charlie's best interests. "[note 4] Savulescu, "This delay, if caused by the ethics process, would be another example of 'lethal ethics'". It has been argued that Charlie's best interests would have been better served had the experimental treatment been administered at GOSH in January. Prof. Savulescu, in a paper entitled "The Moral of the Case of Charlie Gard: Give Dying Patients Experimental Treatment ... Early" Prof. Wilkinson later came to a similar view. "In retrospect, it would have been better for Charlie to have received the requested treatment 6 months ago than to have a protracted legal dispute (with continued treatment in intensive care anyway)." By 6 July, a few days before the second evidential hearing of the case, Prof. Wilkinson had aligned himself with Savulescu's utilitarian view. but his view remained that "the doctors were right to oppose experimental treatment for Charlie in January, the judges were right to decline the family's request for treatment in April, and [that] it would be deeply ethically problematic to provide the treatment now". He cites two reasons for these views; "Experimental treatment for Charlie Gard is associated with significant side effects such that it is highly likely not to be in his interests to provide it." and that "in January [the Doctors] could not have predicted that 6 months and 4 court judgments later treatment would still be continuing". ^ a b " New York–Presbyterian Hospital and Columbia University Irving Medical Center have agreed to admit and evaluate Charlie, provided that arrangements are made to safely transfer him to our facility, legal hurdles are cleared, and we receive emergency approval from the FDA for an experimental treatment as appropriate. Alternatively, if approved by the FDA, we will arrange shipment of the experimental drug to Great Ormond Street Hospital and advise their medical staff on administering it if they are willing to do so. ^ a b "the hospital asks the court to affirm the declarations made 11/04/17 if necessary after hearing further evidence. In view of the unique situation that has developed, the hospital also asked the court to make orders in the same terms. The hospital would not normally seek orders and does so for the following reasons among others: in his judgement, Francis J said that it was in Charlie's best interests to be allowed to slip away peacefully. Decisions expressed as orders would better enable hospital to achieve that aim than would further declarations; the declarations have been interpreted by the White House, and thereafter by the parents through their solicitors, as permitting Charlie's transfer to another hospital for NBT treatment. Aside from the fact that the declarations say that treatment is not in Charlie's best interests. The hospital does not understand this line of reasoning but has no expectation that it would be possible to reach agreement about the legal effect of the declarations. Therefore orders are sought to remove any ambiguity; orders are enforceable. Despite all of the hospitals best endeavours, this appears as potentially necessary. Not for the first time the parents through their solicitors raised the prospect of criminal proceedings against the hospital and its staff. The Hospital understands that no court order best interests proceedings can afford it or its staff from prosecution." ^ a b Sec 3(1) "....parental responsibility" means all the rights, duties, powers, responsibilities and authority which by law a parent of a child has in relation to the child and his property. Sec 1(1) "When a court determines any question with respect to the upbringing of a child the child's welfare shall be the court's paramount consideration." Sec 1(5) "Where a court is considering whether or not to make one or more orders under this Act with respect to a child, it shall not make the order or any of the orders unless it considers that doing so would be better for the child than making no order at all." Sec 2 "...the court shall have regard to the general principle that any delay in determining the question is likely to prejudice the welfare of the child". ^ a b At paragraph 2 of the court's judgement Lady Hale stated "By that judgment, this court explained why it had decided to refuse permission to the parents to appeal to it against the order of the Court of Appeal dated 25 May 2017. But its refusal was subject to a reservation of jurisdiction to grant a further stay of the declarations dated 11 April 2017. There is a logical problem about a stay of a declaration (as opposed to an order) but this is no time to wrestle with it. 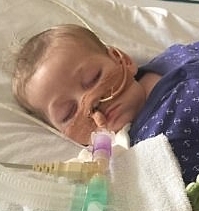 As is agreed, the practical effect of any stay would be that, for as long as it continued, it would not be unlawful for the doctors and other staff at Great Ormond Street Hospital ("the hospital") to continue to provide artificial ventilation, nutrition and hydration ("AVNH") so as to keep Charlie Gard alive. At paragraph 17 "We three members of this court find ourselves in a situation which, so far as we can recall, we have never previously experienced. By granting a stay, even of short duration, we would in some sense be complicit in directing a course of action which is contrary to Charlie's best interests." ^ The last 11, nearly 12, months have been the best, the worst and ultimately most life-changing months of our lives. But Charlie is Charlie and we wouldn't change him for the world. All our efforts have been for him. This is one of the hardest things that we will ever have to say, and we are about to do the hardest thing that we'll ever have to do, which is to let our beautiful little Charlie go. Put simply, this is about a sweet, gorgeous, innocent little boy who was born with a rare disease, who had a real, genuine chance at life and a family who love him so very dearly, and that's why we fought so hard for him. We are truly devastated to say that following the most recent MRI scan of Charlie's muscles, as requested in the recent MDT meeting (multidisciplinary team meeting of those caring for Charlie) by Dr Hirano, as Charlie's devoted and loving parents we have decided that it's no longer in Charlie's best interests to pursue treatment and we will let our son go and be with the angels. There is one simple reason for Charlie's muscles deteriorating to the extent they are in now – time. A whole lot of wasted time. We would like to say a few words in the hope that Charlie's life will not be in vain. We have always acted in our son's best interests from the very beginning. We have always been led by Charlie. I promise every single one of you that we would not have fought this hard for our son if we thought that he was in pain or suffering. There has never been any proof that he was and we still don't think that he's in pain or suffering to this day. Having said that, we have decided to let our son go and that's for one reason and one reason only. It is because the prospect of improvement is unfortunately now too low for Charlie. Our doctors in America and Italy were still willing to treat Charlie after reviewing the MRI head scan from July 2017 as they still felt that there was a chance of meaningful improvement in Charlie's brain. However, due to the deterioration in his muscles, there is now no way back for Charlie. Time has been wasted. It is time that has sadly gone against him. Now we will never know what would have happened if he got treatment, but it's not about us. It's never been about us. It's about what's best for Charlie now. At the point in time when it has become too late for Charlie we have made the agonising decision to let him go. This has also never been about "parents know best". We have continuously listened to experts in this field and it has raised fundamental issues, ethically, legally and medically – this is why the story of one little boy from two normal everyday people has raised such conflicting opinions and ferocious arguments worldwide. We will always know in our hearts that we did the very best for Charlie and I hope that he is proud of us for fighting his corner. We will have to live with the "what ifs", which will haunt us for the rest of our lives. But we're thinking about what's best for our son. We have always believed that Charlie deserved a chance at life and we knew that his brain was not as bad it was made out to be, and that's why we continued. ^ In the UK, judges are appointed by independent selection committees (there are no popular elections or political appointments of judges in the UK, unlike in the United States). Courts in the UK have no role in judicial review of legislation passed by parliament, so they are less involved in "political" matters than in the US. ^ a b Wilkinson, Dominic, et al. (2017). "The Charlie Gard Case: British and American approaches to court resolution of disputes over medical decisions", Journal of Perinatology, courtesy of academia.edu. ^ a b c d "GOSH Position Statement 24 July". ^ a b c d "Would Charlie Gard really have survived if he'd been treated sooner? Here's the sad truth". The Independent. 26 July 2017. Retrieved 30 July 2017. Dr Hirano had never physically assessed Charlie nor had he had sight of his medical records and investigations, including the second opinions of doctors from outside GOSH. ^ BILEFSKY, DAN. "Charlie Gard Dies, Leaving a Legacy of Thorny Ethics Questions". The New York Times. Retrieved 14 September 2017. ^ Garrison, Cassandra (27 July 2017). "#CharlieGard: social media turns family tragedy into global war of words". Reuters. Retrieved 23 July 2017. ^ a b c d Bever, Lindsey (28 July 2017). "'Our beautiful little boy has gone': Parents of Charlie Gard say he has died". The Washington Post. Retrieved 1 August 2017. ^ a b c Mendick, Robert (28 July 2017). "Charlie Gard: The tragic case of a too short life". The Telegraph. ^ a b El-Hattab, Ayman W.; Scaglia, Fernando (2013). "Mitochondrial DNA Depletion Syndromes: Review and Updates of Genetic Basis, Manifestations, and Therapeutic Options". Neurotherapeutics. 10 (2): 186–198. doi:10.1007/s13311-013-0177-6. ISSN 1933-7213. PMC 3625391. PMID 23385875. ^ "RRM2B-related mitochondrial DNA depletion syndrome, encephalomyopathic form with renal tubulopathy". United States National Library of Medicine. Retrieved 12 July 2017. ^ Viscomi, Carlo; Bottani, Emanuela; Zeviani, Massimo (2015). "Emerging concepts in the therapy of mitochondrial disease". Biochimica et Biophysica Acta (BBA) - Bioenergetics. 1847 (6): 544–557. doi:10.1016/j.bbabio.2015.03.001. ^ a b c d e Boseley, Sarah (25 July 2017). "US doctor's intervention in Charlie Gard case 'raises ethical questions'". The Guardian. ^ "Michio Hirano, MD". 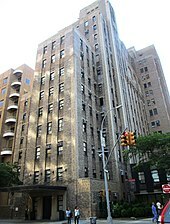 Neurological Institute of New York at Columbia University. Retrieved 25 July 2017. ^ Quinn, Dave (14 July 2017). "Michio Hirano: What to Know About the Doctor Treating Terminally Ill Baby Charlie Gard". People. Retrieved 1 August 2017. ^ "5 things to know about experimental treatment". ^ a b "Latest statement on GOSH patient Charlie Gard". Great Ormond Street Hospital. 24 July 2017. ^ Bilefsky, Dan; Chan, Sewell (4 July 2017). "For Parents of U.K. Infant, Trump's Tweet Is Latest Twist in an Agonizing Journey". The New York Times. Retrieved 1 August 2017. ^ Dyer, Clare (4 July 2017). "Feature. Law, ethics, and emotion: the Charlie Gard case". BMJ. 358: j3152. doi:10.1136/bmj.j3152. PMID 28676496. (Subscription required (help)). ^ Hartley-Parkinson, Richard (21 March 2017). "Fund for sick baby reaches £400,000 – but another £800,000 is needed". Metro. Retrieved 30 July 2017. ^ "Judge to start analysing evidence as appeal for baby Charlie Gard hits £1.2 million". ITV News. 2 April 2017. Retrieved 13 July 2017. ^ "A£27,000 donation to fund to send sick Charlie Gard to US for treatment". Yorkshire Evening Post. 27 April 2017. Retrieved 13 July 2017. ^ "Charlie Gard: Life support to be turned off, parents say". BBC News. 30 June 2017. ^ Boyle, Danny (30 June 2017). "Charlie Gard's parents endure 'worst day of our lives' as doctors to switch off baby's life support within hours". The Daily Telegraph. Retrieved 7 July 2017. ^ Siddique, Haroon (30 June 2017). "Charlie Gard's parents given more time before life support is turned off". The Guardian. ^ a b Mendick, Robert (11 July 2017). "Hospitals refuse to take Charlie Gard as relations between his parents and Great Ormond Street plummet". The Telegraph. Retrieved 3 August 2017. ^ "Congressmen to introduce Bill". ^ a b "Pope considers 'giving Charlie Gard a Vatican passport' to overcome rulings preventing treatment in Italy". The Daily Telegraph. 7 July 2017. Retrieved 10 July 2017. ^ Revesz, Rachael (9 July 2017). "Charlie Gard: US congressmen want to make sick baby an American citizen so he can receive treatment abroad". The Independent. Retrieved 10 July 2017. ^ Chumley, Cheryl K. "Charlie Gard makes Trump case for speedy Obamacare repeal". The Washington Times July 3, 2017. ^ Gaffney, Adam. "Charlie Gard's case is tragic. But it's not a warning about public health care". Washington Post July 24. Retrieved 3 September 2017. ^ Mostrous, Alexi (29 July 2017). "Charlie Gard: publicity that was not always in the family's interests". The Times. ^ Dixon, Hayley (23 July 2017). "Charlie Gard's parents 'extremely upset' by public backlash". The Telegraph. ^ Glenza, Jessica (26 July 2017). "How Charlie Gard captured Trump's attention and animated pro-life groups". The Guardian. ISSN 0261-3077. Retrieved 30 July 2017. ^ Paglia (Archbishop), Vincenzo. "Vatican's Academy for Life issues statement on baby Charlie Gard". ^ a b Kishore, Divya (3 July 2017). "Pope Francis says wishes of brain-damaged baby Charlie Gard's parents should be respected". International Business Times UK. Retrieved 1 August 2017. ^ Winfield, Nicole. "Pope Reverses Vatican Stand on British Sick Baby Case". US News. Retrieved 13 September 2017. ^ Heffer, Greg. "Timeline: Parents' battle to save Charlie Gard". Sky News. ^ "New York hospital agrees to admit Charlie Gard", CBS News, 6 July 2017. ^ Bourdin, Anita (3 July 2017). "Rome's Bambino Gesù Hospital Is Ready to Receive Charlie Gard – ZENIT – English". Zenit News Agency. ^ a b c d e f g Mr Justice Francis (24 July 2017). "Approved Judgement" (PDF). ^ "Latest statement on Charlie Gard". Retrieved 2017-08-10. ^ Boseley, Sarah (2017-07-07). "Charlie Gard hospital applies to high court for fresh hearing". The Guardian. ISSN 0261-3077. Retrieved 2017-08-10. ^ "Great Ormond Street Hospital -v- Yates and Gard judgment 24 July 2017" (PDF). ^ "Press Release Judgement 11 April: Great Ormond Street Hospital for Children -v- Gard" (PDF). ^ "UKCEN Ethical Issues – consent". ^ "Child Protection Procedure". Retrieved 11 September 2017. ^ a b c d e f "Reality Check: Why don't Charlie Gard's parents have the final say?". BBC News. 14 July 2017. ^ a b c d CNN, Susan Scutti (6 July 2017). "Could Charlie Gard's case happen in the US?". CNN. ^ "Practice Direction 12D (updated: Friday, 16 June 2017)". ^ Mumby, Lord Justice. "Hershman/Levy Memorial Lecture 2010 delivered by Lord Justice Munby". Association of Lawers for Children. Retrieved 19 December 2017. ^ Keegan, Leslie (4 October 2011). "Withdrawal of medical treatment". The Law Gazette. Retrieved 31 July 2017. ^ "Press summary: Great Ormond Street Hospital for Children -v- Gard" (PDF). ^ a b Grierson, Jamie; Addley, Esther; Bowcott, Owen (12 April 2017). "Charlie Gard's parents have three weeks to challenge life support ruling". The Guardian. Retrieved 30 July 2017. ^ a b Fouzder, Monidipa (11 April 2017). "Baby's parents 'struggling to understand' life support ruling". The Law Gazette. Retrieved 10 July 2017. ^ "Charlie Gard's parents angry that baby's lawyer is head of charity that backs assisted dying". The Telegraph. 16 July 2017. ^ Larcher, V; Craig, F; Bhogal, K; Wilkinson, D; Brierley, J; Royal College of Paediatrics and Child, Health. (May 2015). "Making decisions to limit treatment in life-limiting and life-threatening conditions in children: a framework for practice". Archives of Disease in Childhood. 100 Suppl 2: s3–23. doi:10.1136/archdischild-2014-306666. PMID 25802250. ^ McLean, Paul C. (25 July 2017). "Medical Ethics: In The Charlie Gard Case, Listen To The Nurses". www.wbur.org. ^ Davies, Caroline (11 April 2017). "Parents fighting to keep baby alive lose high court battle". The Guardian. ^ "Supreme Court Judgement 8th June". ^ Bowcott, Owen (8 June 2017). "Charlie Gard's parents make emergency appeal to European judges". The Guardian. Retrieved 19 July 2017. ^ a b "Last Directions in High Court" (PDF). Retrieved 25 August 2017. ^ "Judgement of the UK Supreme Court 19 June" (PDF). ^ Bowcott, Owen (27 June 2017). "Charlie Gard: European court rejects plea to intervene in life-support fight". The Guardian. Retrieved 19 July 2017. ^ a b c Mendick, Robert. "Charlie Gard court case: Parents have just 48 hours to prove untested, experimental technique works". Retrieved 25 August 2017. ^ Forster, Katie (10 July 2017). "Charlie Gard: Parents to present fresh evidence for sick baby to receive experimental treatment". The Independent. Retrieved 10 July 2017. ^ Jayaram, Ravi. "Would Charlie Gard really have survived if he'd been treated sooner?". Independent. ^ "Charlie Gard: US doctor offers to meet GOSH medical team". BBC News. 14 July 2017. ^ "US specialist to examine Charlie Gard next week, judge told". The Daily Telegraph. 14 July 2017. Retrieved 16 July 2017. ^ "Charlie Gard parents end legal fight to take baby to US". BBC News. 24 July 2017. Retrieved 24 July 2017. ^ Siddique, Haroon (24 July 2017). "Charlie Gard: parents end legal fight over critically ill baby". The Guardian. ^ Taylor, Matthew. "Charlie Gard's parents condemn abuse levelled at hospital staff". Guardian. Retrieved 26 August 2017. ^ "Connie Yates Statement 24 July". Guardian. ^ "GOSH press release 27 July". ^ Mendick, Robert; Boyle, Danny. "Charlie Gard's parents accuse hospital of blocking 'final wish' for baby to be allowed home to die". The Telegraph. ^ Cambridge, Ellie; Fruen, Lauren; Kamouni, Sara (28 July 2017). "Charlie Gard's mum says she's had 'no control over son's life or death' as judge rules tot will die in hospice denying parents their 'final wish'". The Sun. ^ "Charlie Gard hospice move approved". BBC News. 27 July 2017. Retrieved 27 July 2017. ^ "Charlie Gard has died, his parents say". The Guardian. 28 July 2017. ^ "Charlie Gard: Boris Johnson says baby cannot be moved to Vatican". BBC. 5 July 2017. Retrieved 30 July 2017. ^ a b "The tragic case of Charlie Gard". BBC News. 28 July 2017. Retrieved 30 July 2017. ^ "Statement from Mary MacLeod, Chairman of Great Ormond Street Hospital" (Press release). Great Ormond Street Hospital. 22 July 2017. Retrieved 22 July 2017. ^ "Charlie Gard: Death threats sent to Great Ormond Street staff". BBC News. 22 July 2017. Retrieved 22 July 2017. ^ "Charlie Gard: Parents face 'backlash' over hospital threats". BBC News. 23 July 2017. Retrieved 25 July 2017. ^ "Charlie Gard: Professor who offered to help baby has 'financial interest' in drug he was treating him with, says GOSH". The Independent. 25 July 2017. Retrieved 30 July 2017. ^ a b c Dauber, Michael S. (26 July 2017). "Charlie Gard, Compassionate Use, and Single-Payer Health Care – The Hastings Center". The Hastings Center. ^ a b Caplan, AL; Ray, A (8 March 2016). "The Ethical Challenges of Compassionate Use". JAMA. 315 (10): 979–80. doi:10.1001/jama.2016.0416. PMID 26868205. ^ Begley, Sharon (6 July 2017). "New York hospital offers to admit Charlie Gard, baby at center of life-and-death legal fight". STAT. ^ Bilefsky, Dan (7 August 2017). "For Parents of Children Like Charlie Gard, Learning to 'Redefine Hope'". The New York Times. Retrieved 8 August 2017. ^ "Stopping conflict 'boiling over' at children's hospitals". BBC. 25 August 2017. Retrieved 19 September 2017. ^ Triggle, Nick (29 July 2017). "Charlie Gard: A case that changed everything?". BBC News. ^ "Supreme Courts: the US and UK compared". The Journal of the Law Society of Scotland. 16 February 2015. ^ Sgreccia, Elio. "Give Care Even When One Cannot Cure". Zenit. ^ Holbrook, Jon. "Charlie Gard's case should never have gone to court 31 July". Spiked. Retrieved 8 September 2017. ^ Wilkinson, Dominic. "Agreement and disagreement about experimental treatment. The Charlie Gard Appeal". Retrieved 9 September 2017. ^ Doerflinger, Richard (20 July 2017). "A More Human Society – Who speaks for Charlie Gard?". St. Louis Review. Roman Catholic Archdiocese of St. Louis. Retrieved 16 September 2017. ^ Catholic Bishops of England and Wales. "Baby Charlie Gard: Final Ruling". Retrieved 16 September 2017. ^ Smith (Archbishop), Peter (1 May 2017). "Statement on baby Charlie Gard and his life-support treatment". The Catholic Church in England and Wales. Retrieved 16 September 2017. ^ "S.Res. 99 (112th): A resolution..." Retrieved 16 September 2017. ^ Wilkinson, Dominic. "The sad case of Charlie Gard and the rights and wrongs of experimental treatment 6 July". ^ Savulescu, Julian. "he Moral of the Case of Charlie Gard: Give Dying Patients Experimental Treatment ... Early (July 5)". Retrieved 9 September 2017. ^ a b "BBC Radio 4 "The Moral Maze" 12 July 2017". Retrieved 5 September 2017. ^ a b Savulescu, Julian (26 April 2017). "The Fiction of an Interest in Death? Justice for Charlie Gard". Practical Ethics. University of Oxford. Retrieved 10 December 2017. ^ Wilkinson, Dominic (26 April 2017). "Debate Response: Charlie Gard, Interests and Justice – an alternative view". Practical Ethics. University of Oxford. Retrieved 10 December 2017. ^ Savulescu, Julian. "Bioethics: why philosophy is essential for progress". Retrieved 12 September 2017. ^ Savulescu, Julian. "The Moral of the Case of Charlie Gard: Give Dying Patients Experimental Treatment ... Early". ^ a b Wilkinson, Dominic. "The sad case of Charlie Gard and the rights *and wrongs* of experimental treatment". Smith-Squire, Alison (parents' media representative). Charlie Gard—a family's real life story in the spotlight, FeatureWorld. This page was last edited on 2 April 2019, at 20:43 (UTC).